Thousands of shares from the major global markets. 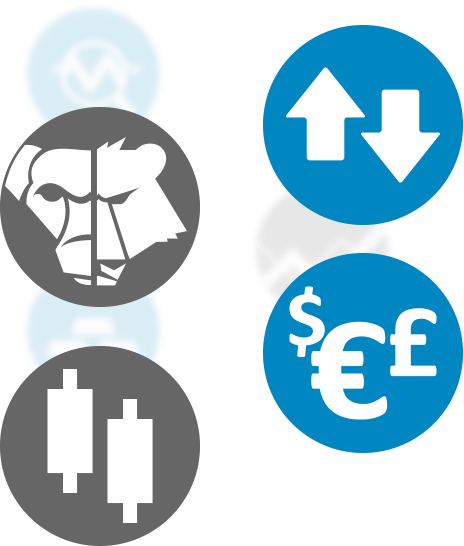 Buy and sell, trade on margin and in local currency: USD, CHF, GBP, JPY, CAD and TRY. More than 6,000 securities including BOTs, BTPs, and government/bank/corporate and structured bonds. Plus a huge amount of information in our dedicated Bond center and all the professional tools to improve your trading. Commodities, currencies, indexes: online access to the world’s main global derivatives markets, with all the tools you need to build your trading strategies. Free push quotes for IDEM and CME, EUREX push data (€12/month waivable), fixed cost as low as €1 per lot and intraday margins reduced by 50%. With CFDs, your trading is truly global: trade in more than 20 European countries and the US as well as Mexico, South Africa and Brazil. The leading ETF & ETC Center in Italy and a huge range of ETFs, ETCs, CWs and Certificates. The most popular platform in Italy, free with 5 trades.